Home/Fifteen Trees, Tree Plantings in Victoria/Basking in trees. There can be a special sort of poetry to incorporating tree-planting into a business model. Bask Aromatherapy owner Siobhan McCuskey is passionate about the environment – and about using natural, plant-based ingredients in her own aromatherapy practice and luxurious range of day spa-esque products. She has teamed up with Fifteen Trees to connect the circle of nourishment by planting one tree for every online order. This time round we planted 500 trees on behalf of Bask Aromatherapy. These were purchased from an independant native nursery and planted in winter 2018 on Steve and Heather Joblin’s Flowerdale property in the Murrindindi Shire. Steve and Heather are committed Flowerdale Landcare members, and have been working on improving habitat corridors and encouraging indigenous revegetation on their property (as well as in the broader community) for over twenty years. Bask Aromatherapy’s trees were planted on a site set aside for a project called ‘Trees for Bees’. 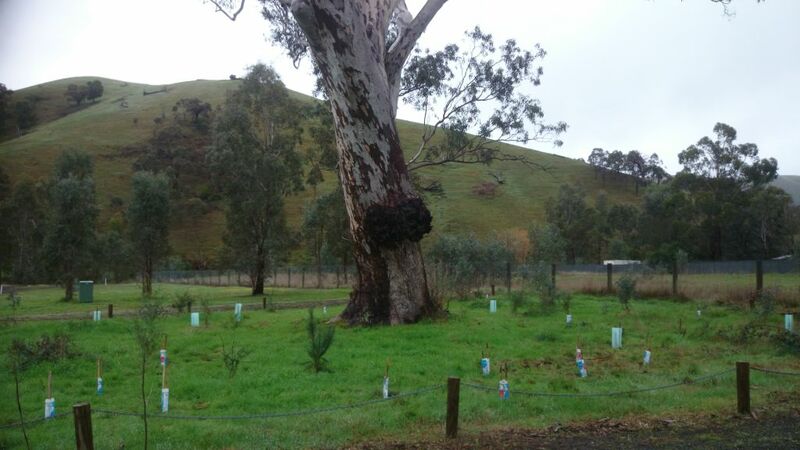 The project involves replacing sustainably harvested non-indigenous Tasmanian Bluegums with Red Box, Yellow Box, Grey Box, and Red Stringybark, as well as suitable ground flora and sub-canopy species. The resulting growth will provide a diverse corridor of cover for local fauna, as well as great nectar sources for bees. The importance of establishing healthy native flora corridors, particularly on privately owned property, cannot be overstated. Without the cooperation and generosity of landowners, and of mindful sponsors like Bask Aromatherapy, our beautiful reserves and parks can become islands. When our local fauna can traverse the landscape safely, carrying native seeds, encouraging bees and insects and slowing erosion, ecosystems are given a buffer against fire, disease, and other threats. Bask Aromatherapy, like our Landcare friends Steve and Heather, believe that individuals of all kinds can make a difference. 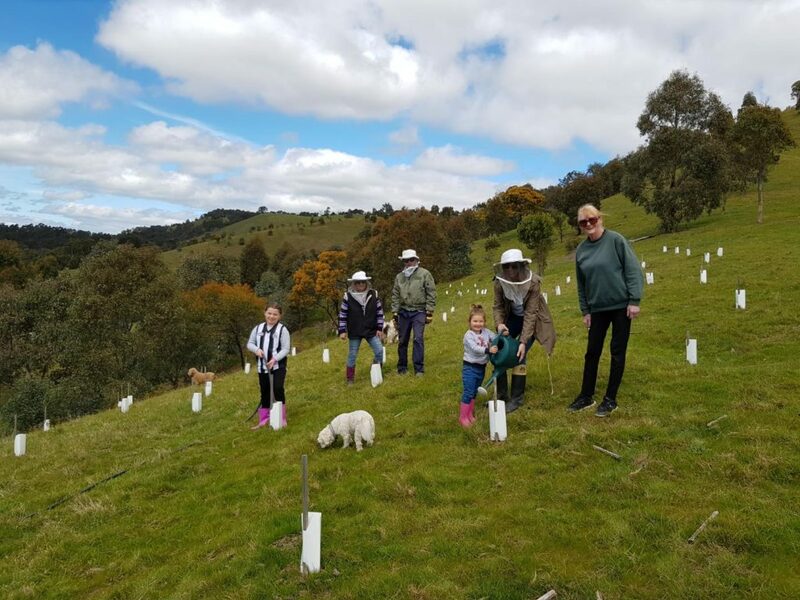 Siobhan can’t plant five hundred trees in the middle of Melbourne – but by reaching out to us on behalf of her customers she has tapped into a community of change. 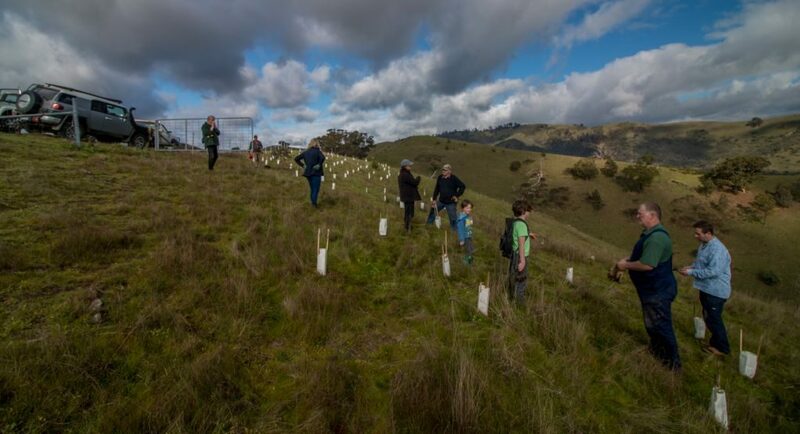 And now there is a small but flourishing brand-new bee-friendly forest making its slow and steady way into the heart of the Victorian landscape.